Ailanthus is a deciduous tree commonly know as "the tree of heaven." The species grows in dense groves of modest height that spread across the landscape. Structured with lustrous gray branches and large, dark green leaves, it becomes shrouded in spring with red and yellow flowers. Native to the temperate climates of Asia, the species can now be found in all corners of the globe including urban habitats across the United States. 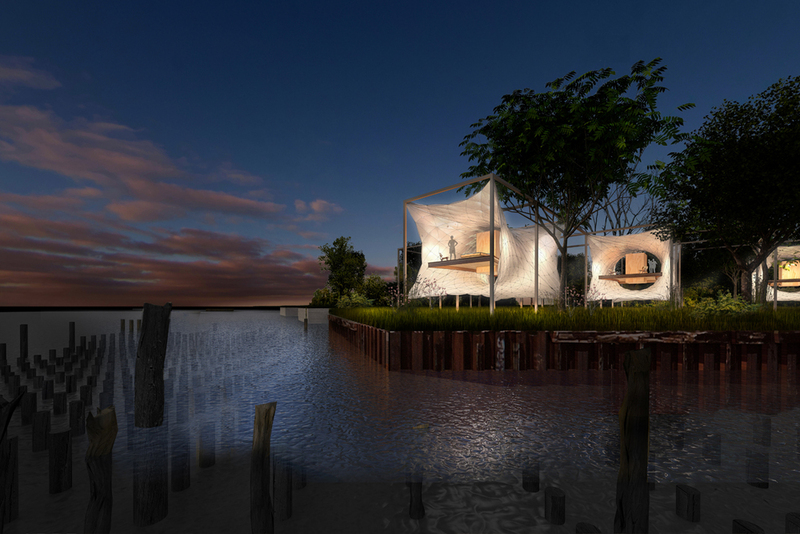 This project assumes the pseudonym Ailanthus House due to the species pervasiveness along the Delaware River in Philadelphia, Pennsylvania. 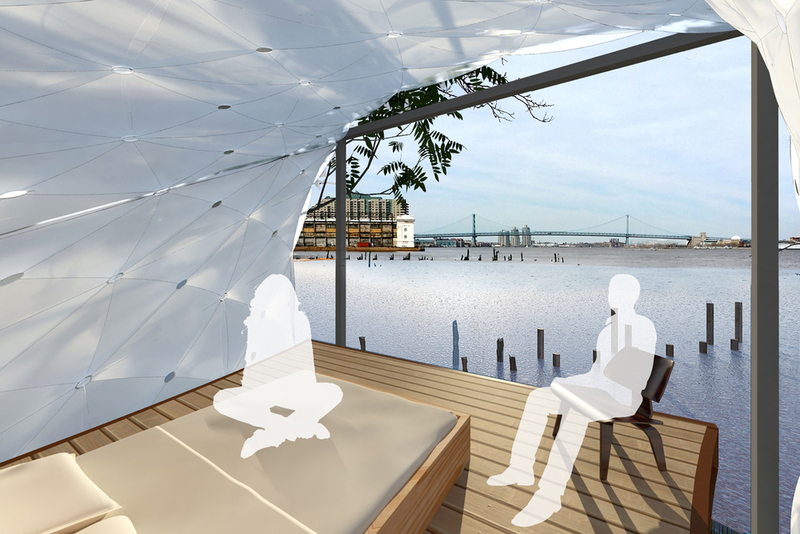 Ailanthus House is an urban community retreat in Philadelphia situated along the quasi-natural habitat of the Delaware river. The retreat is accessible via public infrastructure yet removed from the cacophony of the city grid. Built upon vestigial shipping piers that once defined the waterfront, Ailanthus House is a network of tree houses suspended above the ground, residing amongst the Ailanthus. Constructed from innovative lightweight textiles, recycled steel, and salvaged woods, the structure is locally sourced with global aspirations. It is at once singular in form but plurals as a shared community retreat. The goal of a minimal environmental impact shaped every decision from location, to materials, to systems and the transformation of the derelict piers. Functionally the spaces dissolve the boundaries of inside and outside, natural and man-made. Inhabitants connect with a natural world often overlooked. Isaac was responsible for leading a small team of designers through the conception, site search, material research, narrative and graphic representation of this project from start to final submission. The project team worked closely, exploring the derelict waterfront piers together as well as collaborating on the imagery and vision of the treehouse community.